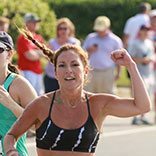 Hyannis Sprint Triathlon was named one of the top 20 triathlons by Men's Health Magazine. 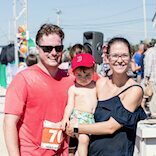 It’s a rite of summer on Cape Cod: an event that attracts not only local triathletes but also visitors from across the nation and the world, (24 U.S. states and five countries represented last year!) 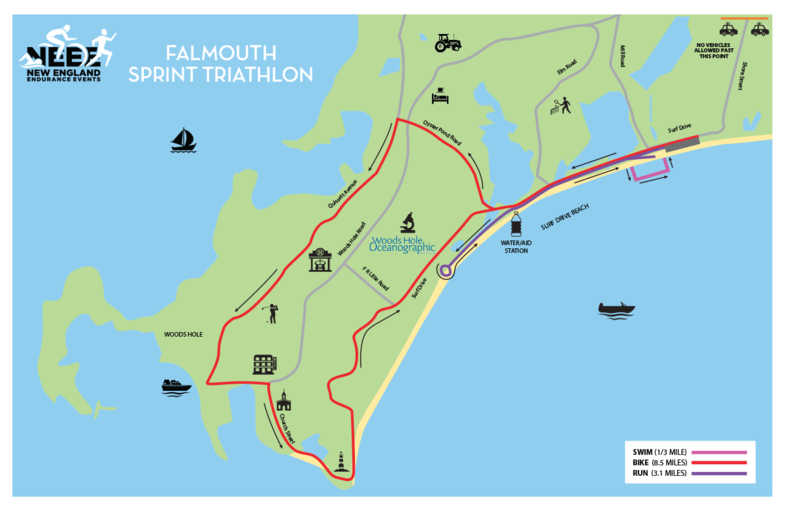 Join a very festive yet competitive atmosphere at the 2019 Falmouth Sprint Triathlon. 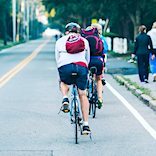 A highlight of the New England Triathlon Tour, this “short” sprint race (so say the triathlon vets) is unique for its warm salt-water swim, a scenic bike ride that climbs to the majestic Nobska Point Light, and a 5k run entirely alongside one of New England’s most beautiful beaches. 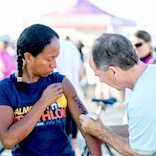 The Falmouth Triathlon has been voted one of the top 5 races for beginners worldwide by the Triathletes Choice Awards, so “casual” athletes and newcomers know they are very welcome to join the tri-geeks. It’s a wonderful day for everyone! 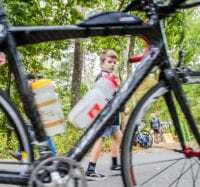 For 23 years, the Falmouth Triathlon had followed the same bike course — challenging and scenic — but for three of its miles a bit crowded as cyclists have had to follow the shoulder of a state road (Woods Hole Rd.) which cannot be closed to traffic. Thanks to the ingenuity of the Falmouth police department, we introduced a new route in 2018 which athletes loved! Some more tweaks will be made for 2019, but you can view the 2018 course map here! A sandy, waist-deep start at Surf Drive Beach (expect temps well into the 70s). The course is rectangular in shape and well lifeguarded. Wave conditions over the years have ranged from glass-calm to a slight chop; never “big surf” in the protected waters of Vineyard Sound. Almost always wetsuit legal. After a mile-long flat stretch along the edge of Nantucket Sound to warm up the legs, you turn toward Buzzards Bay and begin a gradual climb of a mile. Then it’s a rolling three miles down to Woods Hole, past the harbor and off to skirt past one of the most scenic of lighthouses: Nobska Light. The remaining three miles are either downhill or flat to the finish. A very level and fast run on a paved road and a walking trail alongside Vineyard Sound. Consider a hat and sunglasses — there's not much shade! Two staffed water stops. The last 50 yards are on the sand of Surf Drive Beach where the largest spectator crowd of the New England Triathlon Tour awaits to cheer you home! Click on map for a larger version for viewing and printing. Online registration: On-line registration is $10 less than on-site registration! Registration deadline: On-line registration will close July 10 at 5pm. Packet pick-up and Late registration: 5:00-6:30am at race site morning of race or 5-7pm Saturday evening at race site. All participants: BRING PHOTO ID. If you have a USAT annual membership, bring your USAT card. Late registers: Add $10 to race fee for race weekend registrations. Relay Team fees: $160 until June 22, $170 June 23 to July 10. Hotels: Cape Cod's hotels are crowded in summer. Visit our hotel locator! Transfers: Private transfers will be allowed as long as both parties notify registration personnel by noon the Thursday before race. There will be no refunds or wait list but race director will try to assist racers to arrange transfers ahead of race date. Water Conditions: Race director does reserve the right to substitute a beach run for the swim if water quality tests indicate any health hazard or if surf conditions are extremely rough. Relay Teams: Yes! Your choice: 2-person or 3-person, male, female or co-ed. Timing: Chip timed. Results link will be posted on this website and the race Facebook page. 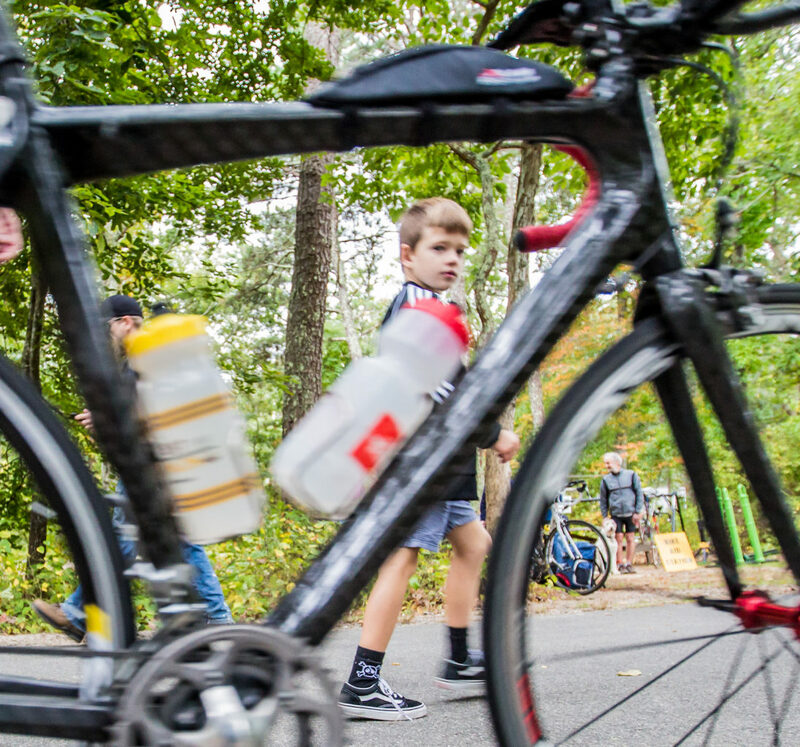 USAT sanctioned: Results will count toward national and regional rankings. All USAT rules and regulations will apply. Racers are subject to time penalties or disqualification for infractions of USAT rules. There will be NO parking allowed at race site OR on Falmouth’s Main Street. Primary parking sites will be the Mullen School, Lawrence School and Falmouth Marine Park (all less than one mile from venue). All competitors will receive an athlete’s guide prior to the event with essential parking information. Additionally, police and staff will be posted at all entrances to the race venue, blocking access by vehicles and directing you to approved parking lots. Two police vehicles will patrol Main Street. Cooperation by all is critical to the continued approval of this event by the town. Sixteen of the finest Sprint and Olympic-distance triathlons in New England make up the 2019 Tour — including our Falmouth Triathlon. By participating in three or more of these races, you could win a free entry for next year! Learn more. Awards ceremony is tentatively scheduled for 9:30am day of race. 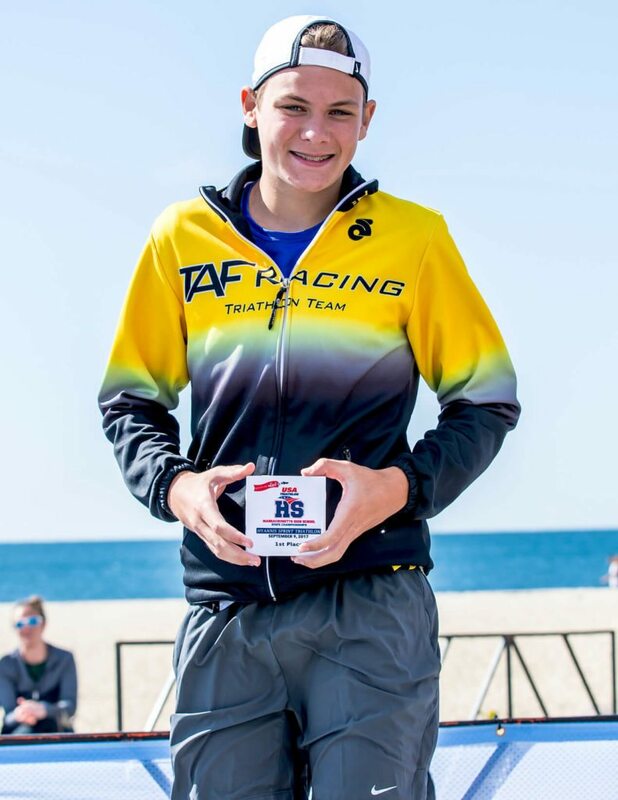 Honors are presented to top three competitors in each age group (both male and female) as well as top Elites, Clydesdale/Athena, First-Timers, Male, Female and Mixed Relay Teams, and Aquabike. Those who cannot remain for the ceremony may designate someone else to receive their award, or can pick it up weekdays at New England Endurance's office in Brewster. Volunteers are welcomed. Family members of racers encouraged to volunteer while watching the action. Priority parking, free T-shirt, refreshments and goodie bag. Please contact the race director by July 11. We all love our pets. But town regulations forbid dogs on or near the beach this time of the year. 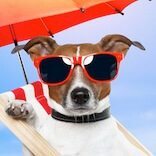 Leave the pooch at home! For those traveling from afar, Cape Cod is awash with hotels, motor lodges, inns, bed and breakfasts, vacation cottages and AirBnB offerings. Find lodging here. 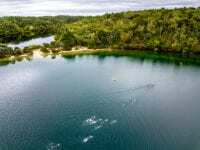 Match yourself against others in your age group (5-year intervals) for this 600-yard swim, 9-mile bike and 3.1-mile run. 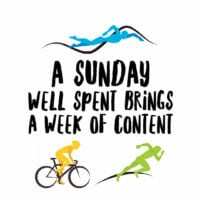 Want to relax and enjoy the day? 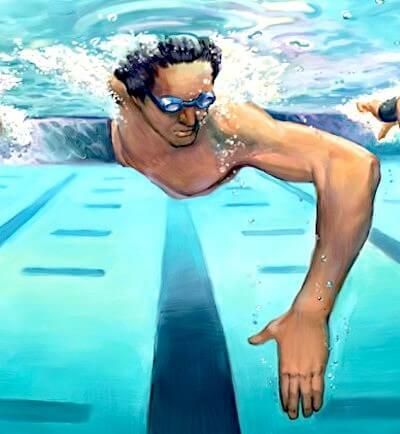 Start the swim leg with friends and family -- no matter what their ages? Or simply complete, not compete? This is the category for you! Keep in mind that you will not be eligible for age group awards or USAT rankings. 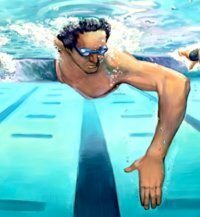 Swim with others who are in their first season of this sport. All of you will receive the complete and singular focus of our water safety team! 220-lb men; 165-lb women. Our strapping athletes are a crowd favorite. Show us what can be accomplished with a little determination! Professionals and other premier athletes are encouraged to race in this division. You do not need to request permission before signing up...we trust you! Your race will consist of a 600-yard swim and 9-mile bike time. And you're done! Perfect for those injured, running impaired, or training for future events! Six categories: all women; all men; and co-ed for each 2-person and 3-person teams. A perfect way to enjoy a wonderful morning with training partners, friends and family! 4:30 pm: A “first look” at the race, provided by your race directors and held right there at the race site at Surf Drive Beach Beach. 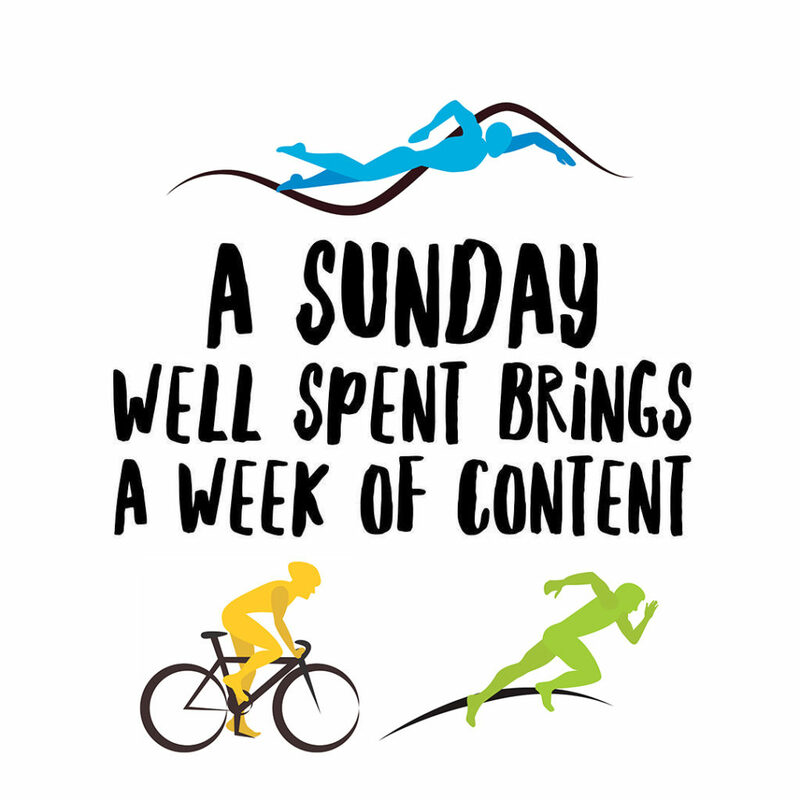 We’ll show you the transition area and talk through the swim, bike and run –as well as provide tips to make your race day experience a wonderful one. Ideal for those who will be racing Falmouth for the first time! 5-7 pm: On-site registration or packet pick-up. If you are pre-registered, don't forget to bring a legal ID and -- if you're a member -- your USAT ID card! 5:00 - 6:30 am: On-site registration or packet pick-up. If you are pre-registered, don't forget to bring a legal ID and -- if you're a member -- your USAT ID card! 8:00 am: Food service begins, and continues until the very last finisher has a chance to eat! 9:30 am (approximate): Awards ceremony -- plus drawings for prizes for all participants! 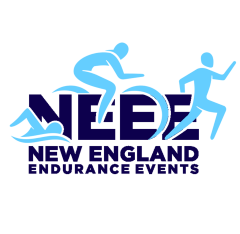 New England Endurance Events emails monthly newsletters, holds training events and seminars, and comes up with special offers throughout the year. Take advantage of them all: get on our email list! Anti-spam question: Please type the number seven.